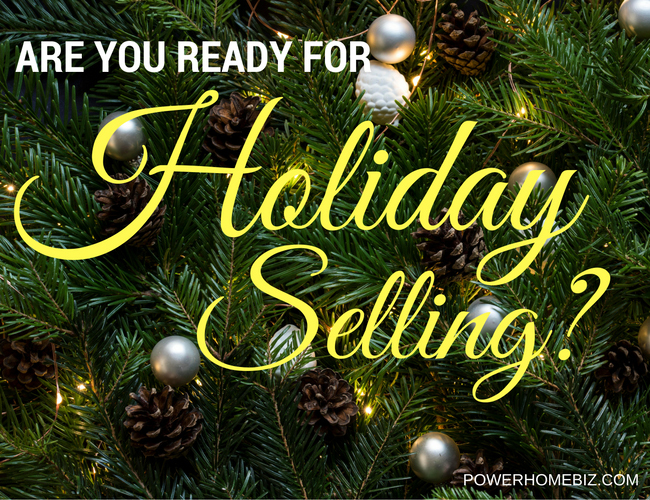 Home | Starting a Business | Business Types | Are You Ready for Holiday Selling? Temperatures are dropping and winter is coming fast. Guess what else is coming closer: the holiday season! Have you started preparations for your holiday selling? 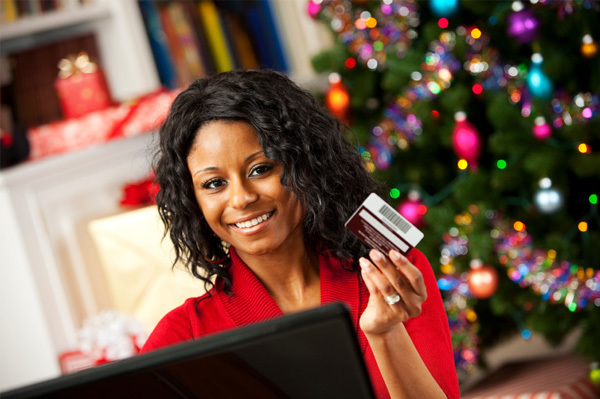 The holidays are traditionally the busiest time for many businesses, particularly retailers. If you are selling on the Web, from your house, or in a store, now is the time to prepare your business for the holidays. Preparing early can help your business take advantage of the spending frenzy that usually characterizes the holidays. Plus, better preparation means more satisfied customers, better flexibility for you, and a healthier bottom line. Begin researching the trends in your industry and what people are looking to buy. Trade publications and research companies always provide their own forecasts as to what consumers are looking to purchase for the holiday season. In some industries, the holiday blockbusters are always the same – e.g. buyers will always want festive holiday candles, decorative wreaths, and holiday scrapbooking supplies. But there are businesses where yearly holiday trend varies, such as clothing manufacturing where you really need to be on the lookout for the overall trends this season. The key is to know what is “hot” in your sector, and then stock up on your potential holiday big sellers. Of course, you also need to have a ready supply of your traditional moneymaker products, whether you keep inventory or procure from a drop shipment company. Holiday preparations may mean buying more inventory and supplies, as well as gearing up for more advertising and marketing expenses. Now is the time to crunch your numbers and create your budget. If you anticipate significant demand and resources are quite tight, this is your time to start looking for additional capital. If you are planning to run any special promos and holiday incentives for the Christmas season, start thinking about them now. There are dozens of creative ways you can entice buyers and encourage multiple purchases, from shipping discounts, free gift-wrapping to inexpensive, holiday-themed giveaways. Even a service enterprise can benefit from launching holiday marketing promos. Crunch your numbers carefully to better determine how each promotion can affect your bottom line. Start preparing your marketing materials and begin looking at where you can advertise. The earlier you market your holiday offerings, the higher your success rate in terms of attracting holiday customers. Start preparing your web assets, including your website, for new functionalities and landing pages that you may need for your holiday season promotion. Whether your business is based on Main Street or in the web, start thinking of a holiday shopping theme design for your business. Your atmosphere and décor can add extra cheer for your store. This should enhance your shoppers’ experience and make them enjoy visiting, and buying, at your store. For an e-commerce site, however, restrain on any special effects and scripts that could distract readers from your web site and turn off potential customers (think blinking lights). Plan and manage your inventory. You now need to begin buying inventory (if you have any) and plan your store merchandise setup. Determine what products you will restock should demand prove to be strong. Plan your products carefully. Make sure you have adequate room for merchandise processing and warehousing. If you are working from home, you may want to clean out your garage or a spare room to stock your inventory. If you must, arrange for any off-site storage locations and truck permits. Determine if you need additional help. If you anticipate an increase in your sales volume, you may want to begin looking for additional staff right now. You may need assistance in customer service, listing and managing inventory, packing and customer service. Don’t wait for the last minute to hire holiday staff. You’d want them to be familiar with the way your business runs before the rush hits. Higher sales may unduly result to an increase in your returns. Consider how you will handle a probably spike in your customer returns. Handling returns from customer service, to rewrapping and restocking, can take a lot of your time. If you are a Main Street vendor, you may want to have a dedicated staff manning your return area (if you don’t have one already). Having a single cashier handling both sales and return can lead to longer waiting time and unhappy customers. For an e-business, make it clear to buying customers your return policies. Will you refund the shipping costs, or only the amount paid for the item? Who will pay for the return shipment? Prepare your packing, shipping and customer service supplies. As you anticipate greater demand for the holidays, you also need to start stocking up on important customer service supplies like bags, ribbons, gift wrapping paper, receipt tape, and gift certificates. You will also need bubble wraps, “peanuts,” and other packing and shipping supplies if you are an e-tailer. Will you be able to handle an increase in sales, or will your business crash and burn like the many e-tailers of holidays past that were unable to successfully manage fulfillment? If you think your present capacity may not be able to handle the increase in sales and delivery, look for fulfillment companies now to help you in this important aspect of your e-business. Have an after holiday clearance strategy. Try as you might, there may be some unsold inventory left after the holidays. Think through how you are going to sell them. You can take advantage of the many cash-conscious buyers waiting for the post-holiday frenzy to shop for sale and clearance items. Announcing a post-holiday sale can help you sell off your Christmas widgets. It's the middle of the year and summer is coming fast. Guess what else is coming closer: the holiday season! Have you started preparations for your holiday selling?